REPLACEMENT PANASONIC N2QAYB000858 TV Remote Control. HomePanasonicREPLACEMENT PANASONIC N2QAYB000858 TV Remote Control. 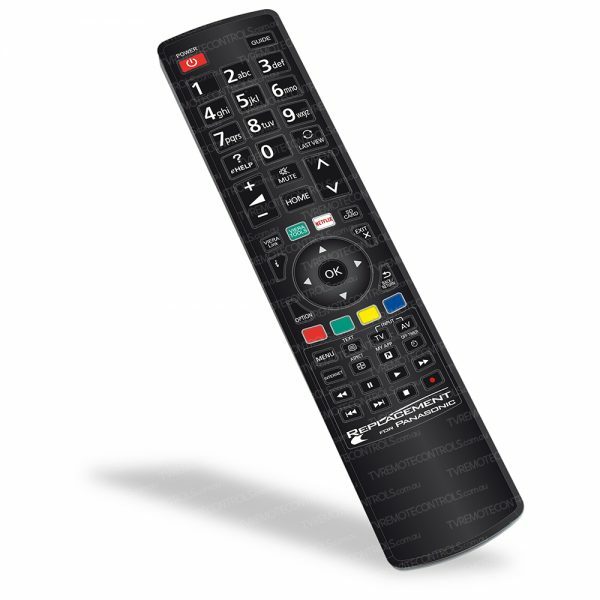 This remote control is a replacement remote control for all PANASONIC Televisions, it has all the major buttons and functions of all the original PANASONIC remote controls. No programming required, just add new batteries and this replacement remote control will operate your PANASONIC TV. Please check the button layout of this replacement PANASONIC remote control to ensure it is suitable for your needs. Replacement Panasonic Remote Control Type:? N2QAYB000858. Suitable for?PANASONIC Models:? ?THL47WT60A, THL50DT60A, THL55DT60A, THL55WT60A, THL60WT60A, TH-L47WT60A, TH-L50DT60A, TH-55DT60A, TH-L55WT60A, TH-L60WT60A. This replacement PANASONIC TV remote control is great as an economical remote control for all PANASONIC TV’s. Also great as a replacement for remote controls that are no longer available from PANASONIC.